We´re all familiar with those little logistical problems that pop up throughout the day. Now, if you check out what Tchibo is doing, you may find a solution that makes your day a little bit easier. Tchibo promises it´s customers “each week a new world” and to fulfill that promise, the company has created “Tchibo Ideas” – a platform where people can look for answers to questions about the small troubles in life or offer up their own solutions. Each month there is a vote for the best ideas and the author of the tip or inventor of the new gadget gets a cash prize. Then an expert panel votes on the best idea of the year and hands out a €10,000 prize. In the end the company takes on a product, promises the inventor an international product license contract for three years as well as a premium for each of the products made. The first realized idea was a cutting board with collection pan. This fall a new shower “creation” for dm drugstore´s Balea brand will hit the market in more than 1,200 stores. The debut will be the company´s first crowdsourcing-created product. The shower gel was designed with the help of its Facebook community, which voted and commented on the slogan, material, name and packaging. Those taking part in this four-part process have already chosen a slogan from the 1,181 that were proposed: “Diamonds and Ice”. In the material phase 750 participants mixed together a shower gel using the packets of Balea materials and possible ingredients they were sent. The community settled on a gel that was a “sparkling turquoise blue, lustrous, creamy and fruity with a touch of spice and light, fresh aromas.” Then the gel moved into the naming phase. Just about anyone can tweet, right? Not quite. 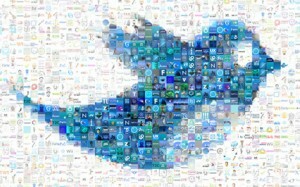 Though the company is growing fast internationally, Twitter is, so far, only available in seven languages: English, French, German, Italian, Japanese, Korean and Spanish. Now Twitter is creating the Translation Center, where members can help to translate the website into another language. The company is following the pioneering move by Facebook, whose website was quickly translated into over 100 languages using the crowdsourcing principle. The online community then voted for the best translations. Next on the list for Twitter is Indonesian, Russian and Turkish. So the speakers of these languages soon can get busy tweeting about the project in those languages, too. In the process the existing community opens up into a much bigger community. And that´s a nice prize. This is going to be another great progress by twitter, who became so revolutionary in the simple thing they created of, i think at least those firms like face-book and twitter, created something universal which is wonderful. I think the cutting board with a collection pan is a very attractive and unique idea. The board can be use to cut 3 or more food items that you can sort into each section of the bowl until, you are ready to use, however you choose. Why can’t this blog be published in English? I can’t read German. When I click on more in the dashboard, there is partial English text, and when new page opens it’s in German. Do not understand. Have you tried switching the language after the whole article showed up?